Self-Parking (meter) available in Lot C. Please note that University parking is enforced 24 hours a day, seven days a week. No food or beverages are allowed inside the Music Hall. Left to Right: Dr. John Cleman (Emeriti Liaison), Dr. Victor Barrera Enderle (conference co-organizer), and Dr. Roberto Cantú (conference organizer). 1. "El campo cultural mexicano en The Two Republics"
1. 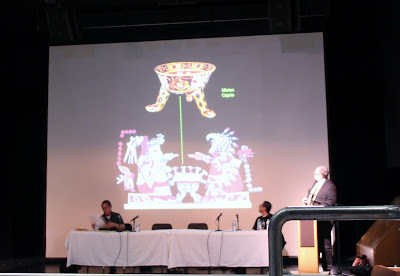 "Decolonizing the Pueblo Revolt"
1. "Emotive Crossroads: The Travels and Promise of Historicizing Coming of Age Experiences"
2. 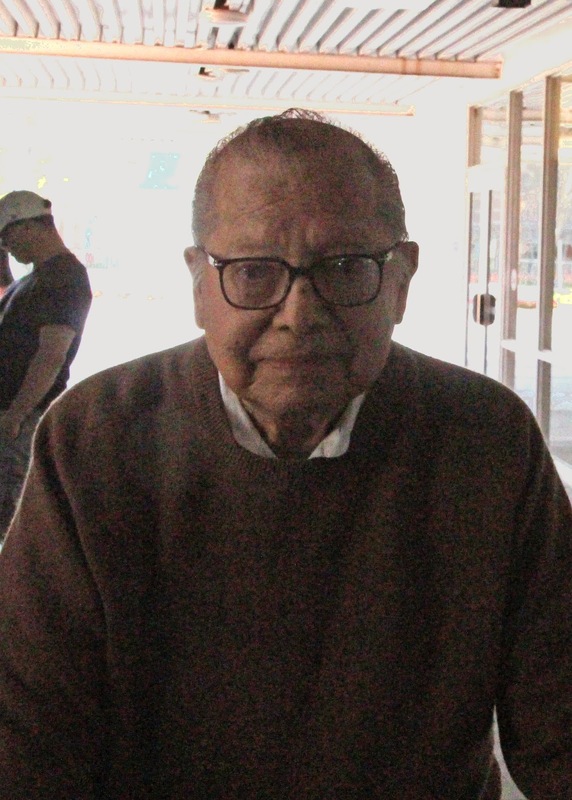 "Mario T. García: Historian of El Paso"
3. "The Generational Theme and Biography in Chicana/o History: The Interpretive Contributions of Mario T. García"
Gloria Arellanes was born in El Monte and attended local schools. Shortly after high school, she became part of the first contingent of women who joined the Brown Berets in East Los Angeles. Possessed of strong leadership skills, she became the first female minister of the Berets as Minister of Finance and Correspondence. Gloria and other women became the backbone of the Berets. They published the Beret newspaper La Causa." The Beret women led by Gloria also organized and directed the Beret free clinic in East Los Angeles' El Barrio Free Clinic. 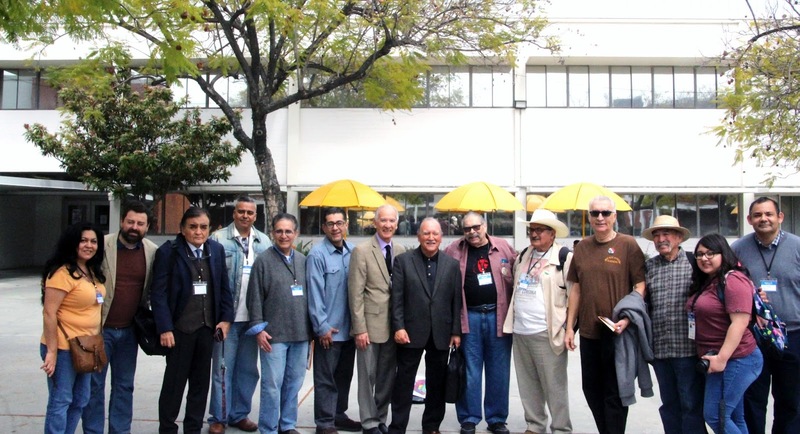 The clinic represented the most significant contribution by the Berets during the Chicano Movement. Gloria and other women left the Berets due to the sexism of some of the male Berets and organized Las Adelitas de Aztlan, which joined the Chicano anti-Vietnam War Movement. 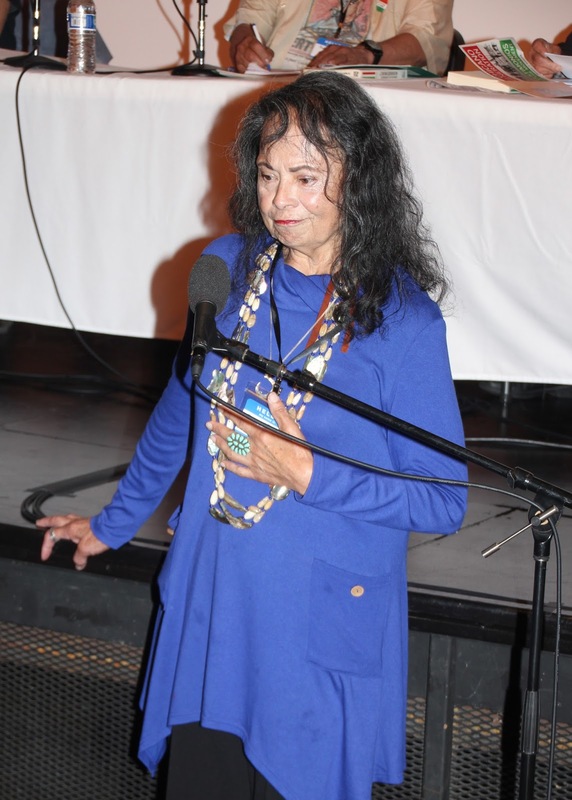 Gloria since the Movement has reintegrated herself in her Native American community where she serves as an elder. Gloria Arellanes is one of the most important female figures of the Chicano Movement in Los Angeles. Rosalío Muñoz was born in Los Angeles. After graduation from high school, he was one of the few Chicano students at UCLA in the 1960s. 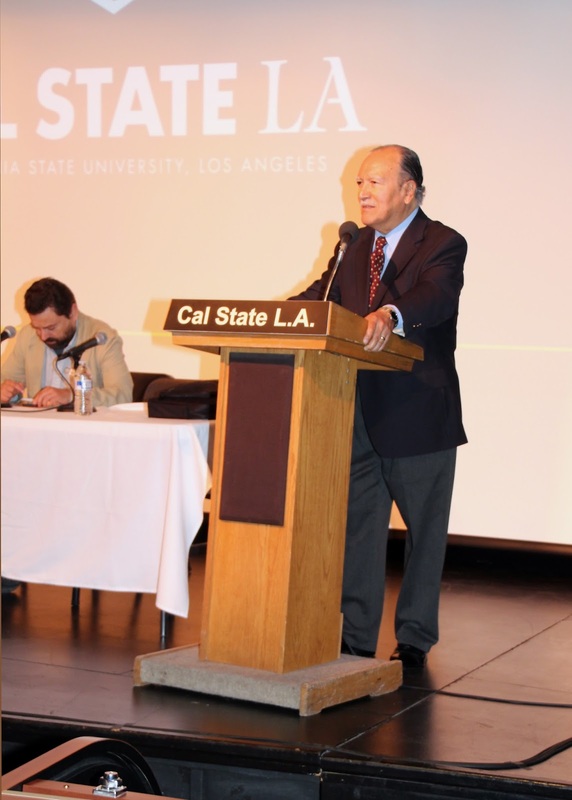 With his leadership skills, Rosalío was elected student body president of UCLA in 1968, the first Chicano/Latino in the position. In 1969 he publicly refused induction into the military and called the Vietnam War a war of genocide against Chicanos who were being disproportionately drafted into the military and send to the war. 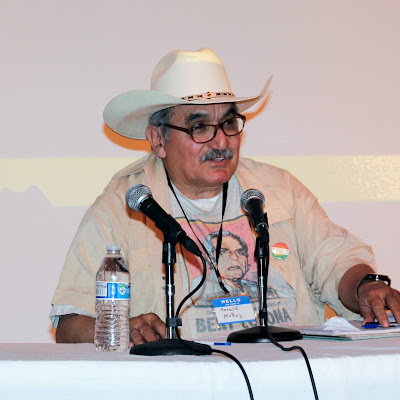 Rosalío organized the first Chicano resistance to the draft referred to as "Chale con el Draft." He soon realized that the best way to end the draft was to end the war. He helped organize and led the National Chicano Moratorium Committee that organized anti-war demonstrations. This included the National Chicano Anti-War Moratorium in East LA on August 29, 1970. 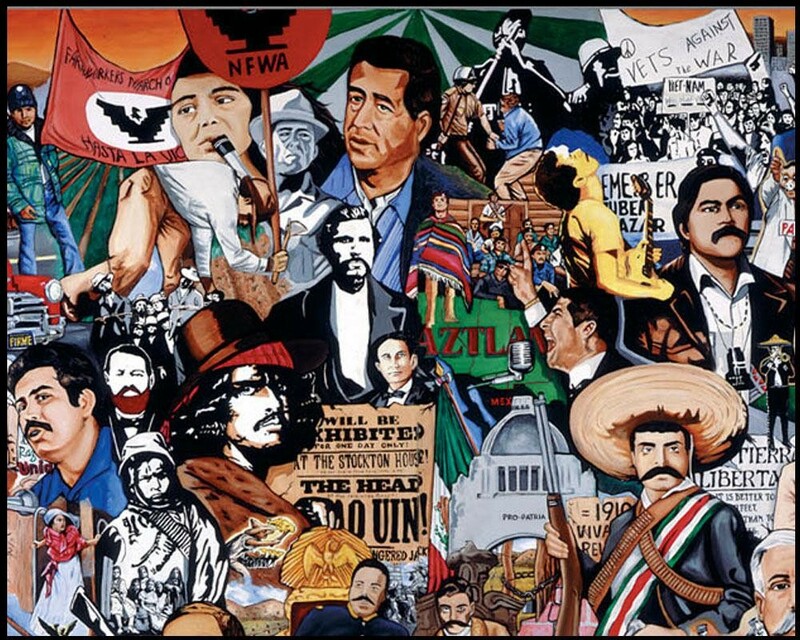 Some 20,000 mostly Chicanos demonstrated against the Vietnam War that day, the largest demonstration of the Chicano Movement. Because the demonstration was attacked by police forces, Rosalío further helped organize protests against police violence. He also led efforts to organize the community against urban renewal and for immigrant rights. 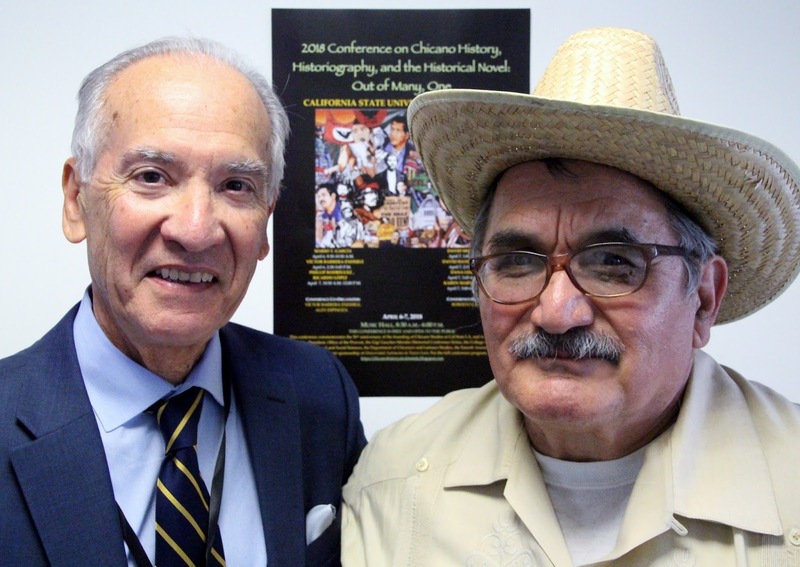 Since the Chicano Movement, Rosalío Muñoz has continued to be a community organizer in the Chicano/Latino community. 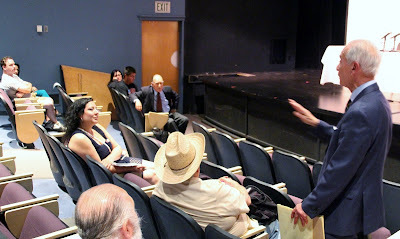 Dr. Raul Ruiz received his doctorate in education from Harvard University, and is now Professor Emeritus in the Department of Chicano Studies at California State University, Northridge, where he served as department chair from 1982-1985, and as the faculty adviser of Gamma Zeta Alpha (1999-2007), and of other student associations. 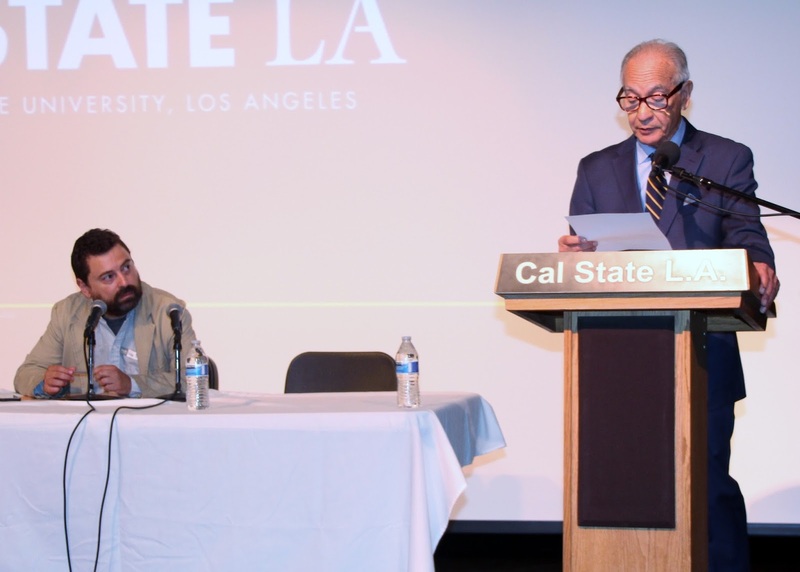 During the years of the Chicano Movement, he worked as publisher and editor of La Raza Newspaper (1969-1977), and of "Inside East Side," the first newspaper dedicated to service Chicano students. 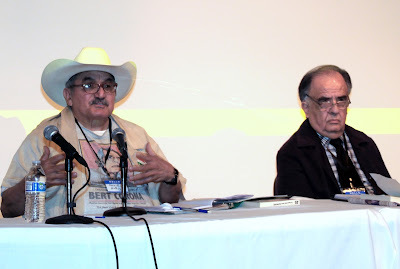 Dr. Ruiz was co-founder of La Raza Unida Party in California (1969), and on August 1970, he was witness and photographer of the death of Ruben Salazar at the Silver Dollar Cafe in East Los Angeles. 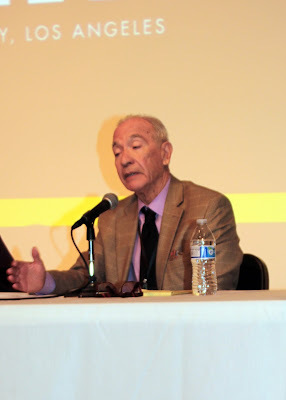 In 1968, Dr. Ruiz was the Chicano Press representative to the World Peace Conference held in Paris, France and, also in 1968, the official representative of the Chicano Press Association in Cuba. In 1972, he served as the official government guest and member of Chicano Cultural and Trade Delegation. 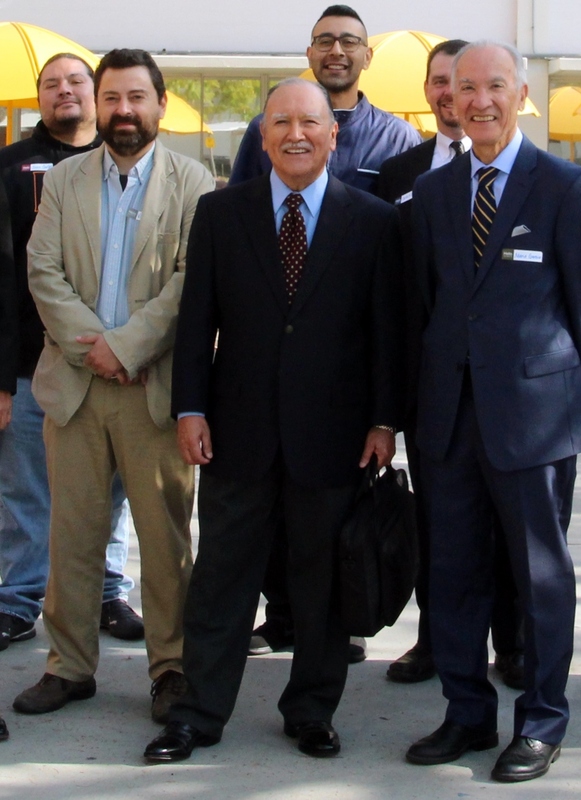 Among his many international functions, Dr. Ruiz served in 1985 as the Co-Chair of the Chicano Peace Delegation to Central America, visiting as official government guest in Mexico, Honduras, El Salvador, Nicaragua, and Cuba, and in 1990 as Official Observer of the Nicaraguan Presidential Elections. Dr. Ruiz has also participated in California, and Los Angeles, as Candidate for the 48th Assembly District (La Raza Unida Party); as Chairman of the East Los Angeles Incorporation Committee (1974-1976); and among many other state and city activities, as Candidate for the Los Angeles Board of Education 5th District (1983-1985). In observance of his many contributions to California, to the City of Los Angeles, and to the Mexican American/Latino communities, Dr. Raul Ruiz was commended by Gloria Molina, Supervisor of the 1st District, on behalf of the Los Angeles County Board of Supervisors, and on behalf of the 10 million County Residents who warmly recognized Dr. Ruiz for his dedication and commitment to the 2004 Fiesta Mexicana. Among many other awards and public recognitions, Dr. Ruiz's life story was recorded in 2013 byStoryCorps and archived in the Library of Congress. 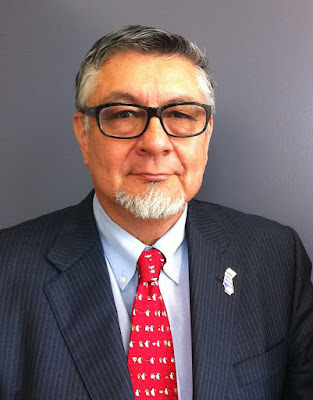 Dr. Mario T. García is Distinguished Professor of Chicano Studies and History at the University of California, Santa Barbara. He received his Ph.D. in History at UC San Diego. A Guggenheim Fellow, he is the author of twenty books in Chicano history. 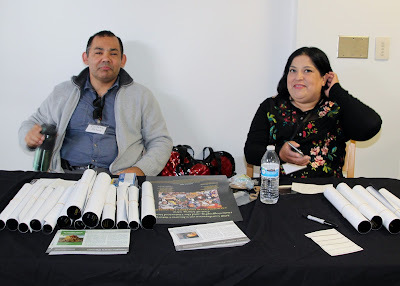 These include Desert Immigrants: The Mexicans of El Paso, 1880-1920 (1981); Mexican Americans: Leadership, Ideology & Identity, 1930-1960 (1989); Memories of Chicano History: The Life and Narrative of Bert Corona (1994); Luis Leal: An Auto/Biography (2000); editor of The Gospel of César Chávez: My Faith In Action (2007); Católicos: Resistance and Affirmation in Chicano Catholic History (2008); editor of Dolores Huerta: A Reader (2008); Blowout! 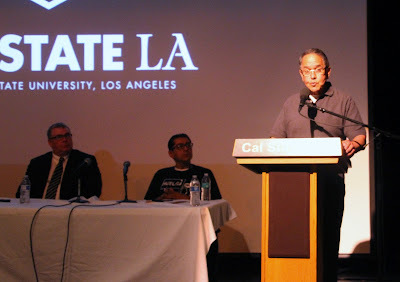 Sal Castro and the Chicano Struggle for Educational Justice (2012); The Latino Generation: Voices of the New America (2014); The Chicano Generation: Testimonios of the Movement (2015); Literature as History: Autobiography, Testimonio, and the Novel in the Chicano and Latino Experience ( 2016). 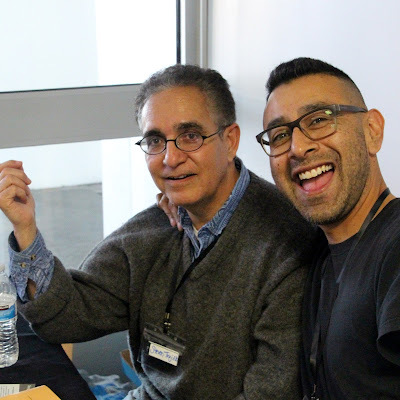 He is working on a biography of Father Luis Olivares and the sanctuary movement in Los Angeles. He is the recipient of several book awards and is the 2016 recipient of the Stetson Kennedy Vox Populi Annual Award for linking oral history to social justice issues given by the Oral History Association. The Rise and Fall of the Brown Buffalo explores the life and work of radical Chicano lawyer, author and countercultural icon, Oscar Zeta Acosta--best known in Chicano literature for his novels The Autobiography of a Brown Buffalo(1972), and The Revolt of the Cockroach People (1973), and for his volatile friendship with Hunter S. Thompson. Relevant now more than ever, this urgent, untold story probes issues of racial identity, criminal justice, and politics, while giving Acosta his due place as a brilliant but troubled man who changed American history. Phillip Rodriguez is an award-winning documentary filmmaker and veteran content provider for PBS. His films bring to light the complexities of Latino culture, history, and identity at a time when our nation's demographics reflect unprecedented growth in the Latino community and the concomitant demand for relevant storytelling. 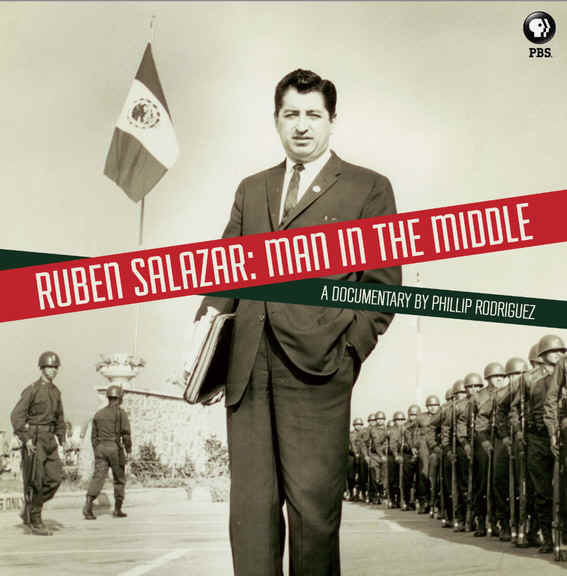 Rodriguez's investigative documentary Ruben Salazar: Man in the Middle explores the life and mysterious death of the pioneering journalist, and won Best Documentary at the 2014 San Antonio Cine Festival and the 2014 Denver XicanIndie Festival. Race 2012: A Conversation About Race and Politics in America was awarded a 2013 CINE Golden Eagle Award in the Best Televised News Division--Informational/Current Issue category. Latinos '08 received a 2009 CINE Golden Eagle Award for Best News Analysis. Brown is the New Green: George Lopez and the American Dream was awarded the 2008 Imagen Award for Best TV Documentary. 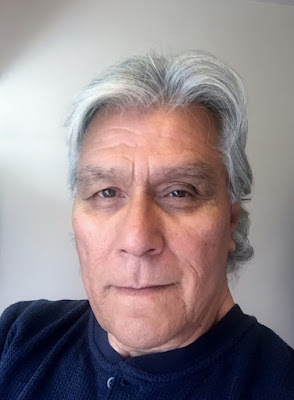 Rodriguez's other critically acclaimed films include Los Angeles Now, Mixed Feelings: San Diego/Tijuana; Manuel Ocampo: God is My Copilot; and Pancho Villa & Other Stories. In 2006 Rodriguez received the first annual United States Artists Broad Fellow Award, which honors the country's finest living artists. A graduate of UC Berkeley, he has an M.A. in Latin American Studies (Honors), and an M.F.A. 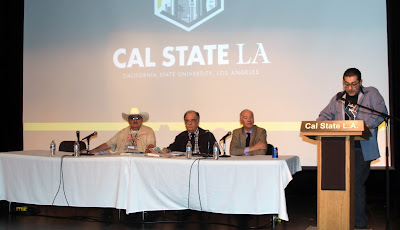 in Film and Television from UCLA. 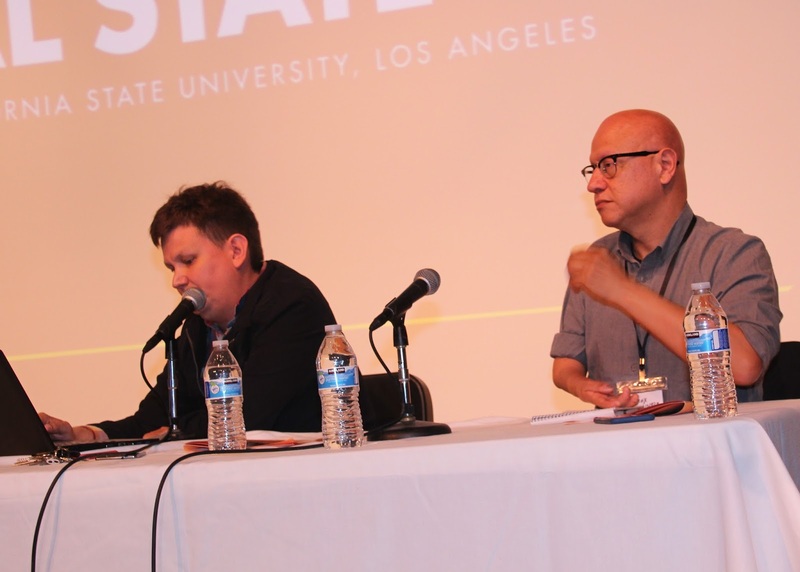 Currently, Rodriguez is a Senior Fellow at the USC Annenberg School for Communication and Journalism. 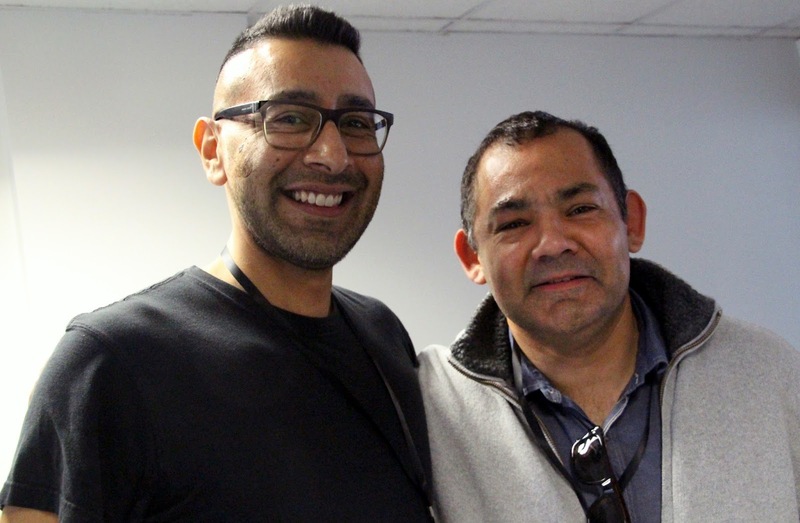 Ricardo López has worked with Phillip Rodriguez for the past seven years as Associate Producer, and researcher in two of his documentaries: the award winning “Ruben Salazar: Man In The Middle” (2014), and “The Rise And Fall Of The Brown Buffalo” (2017). Researching the subjects of these documentaries was a personal journey for Mr. López. Prior to coming on board for both productions, he had already accumulated over twenty five years of his own time in research on both men. He has obtained hundreds of pages of documents on both Salazar and Acosta through the Freedom of Information Act from the F.B.I., C.I.A., Department of Justice, and The Los Angeles County Coroner’s Office. 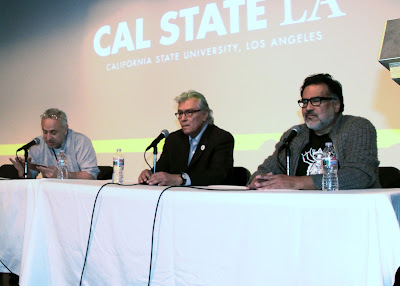 Mr. López requested and was cleared by The Federal Bureau of Investigation to travel to their Washington DC Headquarters and view not only the files on Ruben Salazar and Oscar Acosta, but also those of the Mexican-American Militancy, César Chávez, the 1968 Mexico Olympics and the Tlatelolco student massacre, along with other files on Chicano organizations that had garnered the interest of the FBI. At the time, these files were still in the process of declassification. 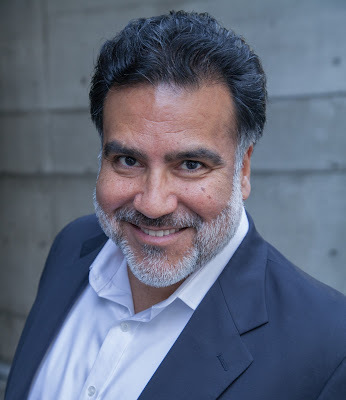 Mr. López is an actor who has appeared in feature films, numerous episodes of television series, and on national and international commercials. He co-starred in the critically acclaimed film (but at first banned in the U.S.) “Latino!” (1985), directed by Academy Award recipient Haskell Wexler. 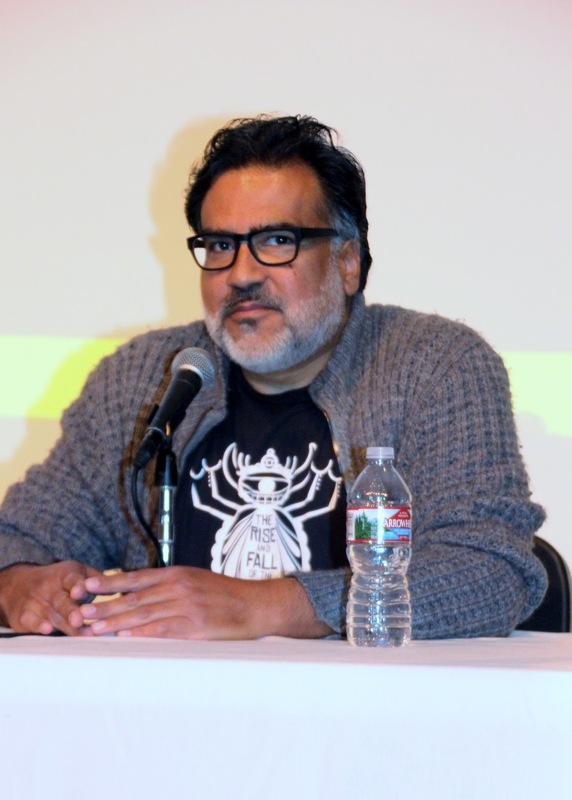 He has produced and directed Chicano theater throughout Los Angeles and is a core member of the Los Angeles-based Chicano theatre group Teatro Urbano. Over the past thirty years he has produced and appeared in the group’s acclaimed play “The Silver Dollar.” Mr. López was the founder and Artistic Director of The Silver Dollar Cultural Center in East Los Angeles. Its location on Whittier Boulevard was the actual bar and café where Ruben Salazar was killed. Currently, Mr. López is assisting in the edit of a new Chicano anti- war play; he is planning on returning to California State University, Los Angeles to pursue a graduate degree, and is in the early stages of preparing and laying the groundwork for two novels. 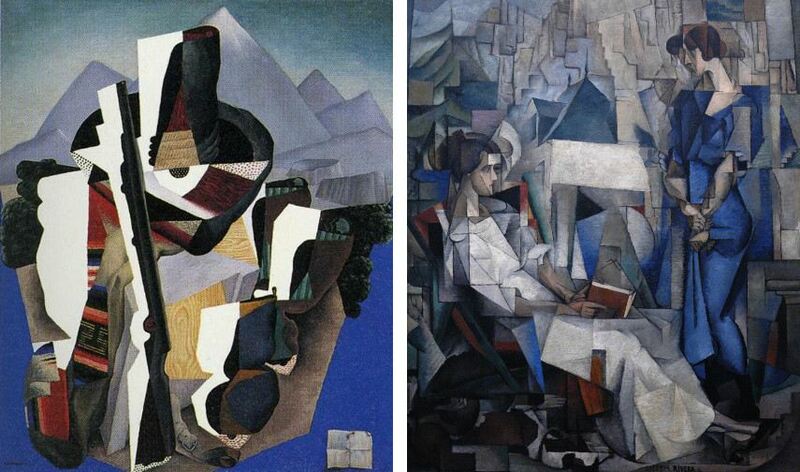 If taken at their word, art historians cannot account for Mariana Williamson Coronel. Bi-racial wife of Antonio F. Coronel (the first Mexican mayor of Los Angeles under the United States flag), an artist, arts patron, and collector, she was a Californio resident who witnessed the transformation of the region after the close of the US-Mexico War (1846–48). Her social location, dedication to cultural preservation, and artistic practices have been ignored or misrepresented by art historians, both Chicana/o and American scholars alike. In some ways, she and her husband were other elite Mexicans in California who negotiated their status to preserve their wealth and power. 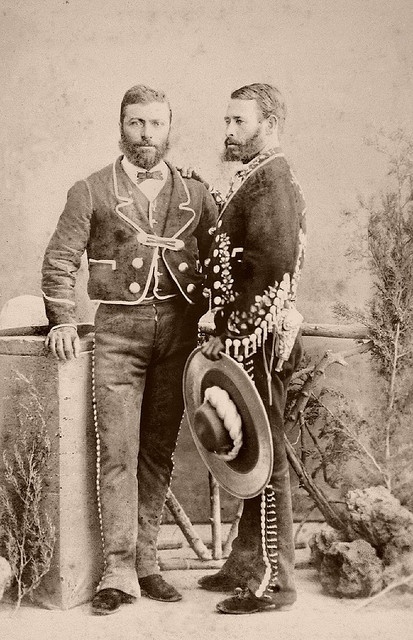 They owned and managed seventy-five acres, lived comfortably, and were invested in suturing together the social fabrics of Mexico and the United States. Yet they also collected the history, art, and culture of the region for fifty years, a task she continued after her husband’s death. To this collection, Mariana added her own paintings, wax figures, and textiles. These artistic activities are especially invisible to the archive and scholarship of Mexico and the United States. This paper recovers and examines the biography of Mariana, drawing on her collection as a form of autobiographic expression. 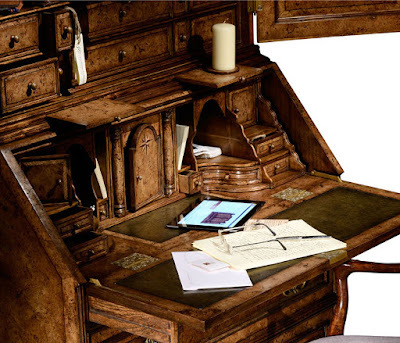 Her stewardship of a massive collection of a variety of materials produced between 1750 and 1900 evidences the complexities of the borderlands experience—its contradictions and tensions, its creative responses and critical consciousness. By tracing her life through the collection and the available archive, this paper offers new methods for understanding history. Dr. Karen Mary Davalos is Professor of Chicano and Latino Studies at the University of Minnesota, Twin Cities. She has published widely on Chicana/o art, spirituality, and museums. Among her distinctions in the field, she is the only scholar to have written two books on Chicana/o museums, Exhibiting Mestizaje: Mexican (American) Museums in the Diaspora (University of New Mexico Press, 2001), and The Mexican Museum of San Francisco Papers, 1971-2006 (The Chicano Archives, vol. 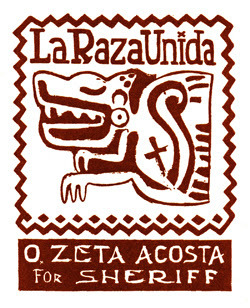 3, UCLA Chicano Studies Research Center Press, 2010, the Second Place winner of the International Latino Book Award for Best Reference Book in English). Her research and teaching interests in Chicana feminist scholarship, spirituality, art, exhibition practices, and oral history is reflected in her book, Yolanda M. López, (UCLA CSRC Press with distribution by University of Minnesota Press, 2008), the recipient of two book awards: 2010 Honorable Mention from the National Association of Chicana and Chicano Studies, and 2009 Honorable Mention from International Latino Book Awards (Nonfiction, Arts–Books in English). 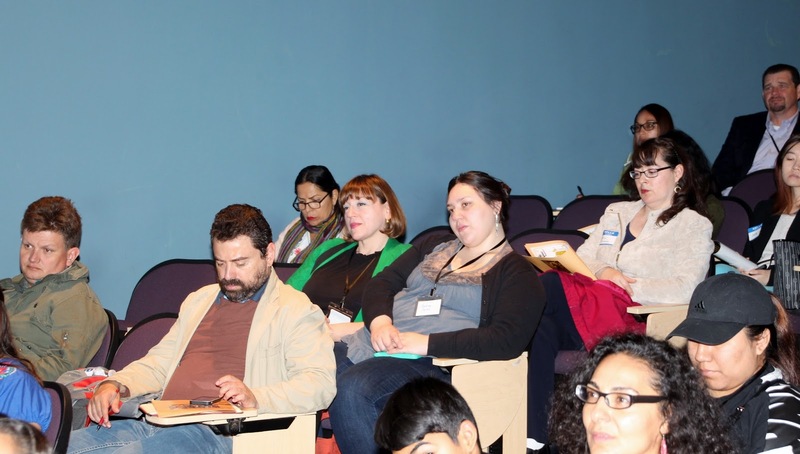 As lead coeditor of Chicana/Latina Studies: The Journal of Mujeres Activas en Letras y Cambio Social (2003-2009), she revitalized the journal from its earlier incarnation of Voces into the only interdisciplinary, flagship, peer-review journal of a Latin@/x studies organization. 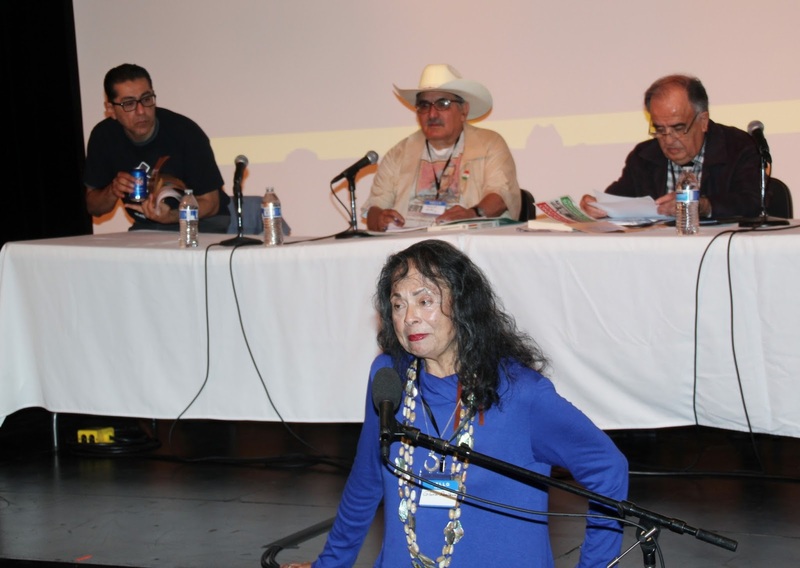 She serves as President of the board of directors of Self Help Graphics & Art, the oldest Chicana/o – Latina/o arts organization in Southern California. Her latest book, Chicana/o Remix: Art and Errata since the Sixties from NYU Press is informed by life history interviews with eighteen artists, a decade of ethnographic research in southern California, and archival research examining fifty years of Chican@/x art in Los Angeles since 1963. In 2012, she received the President’s Award for Art and Activism from the Women’s Caucus for Art. 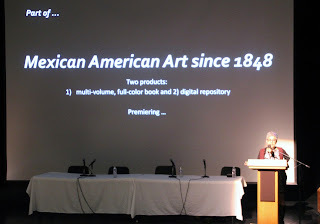 From the University of Minnesota, she has launched an ambitious research initiative, “Xican@ Art since 1848,” which will produce a co-authored, multi-volume, full-color book and a shareable, searchable online digital platform linking art collections and related documentation from libraries, archives, and museums. In his 1949 book What is Literature?, the French philosopher and writer Jean-Paul Sartre answered his own question by bluntly stating that the whole point of literature is to bring about positive and progressive social change. It should be intended to change the world or at least your world. Literature and social change or perhaps social justice should be two sides of the same coin. The whole existence of the writer is precisely to be an agent of change otherwise why be a writer. Taking off from Sartre’s view of literature, I would propose the same for history. History should also be written to bring about contemporary change. 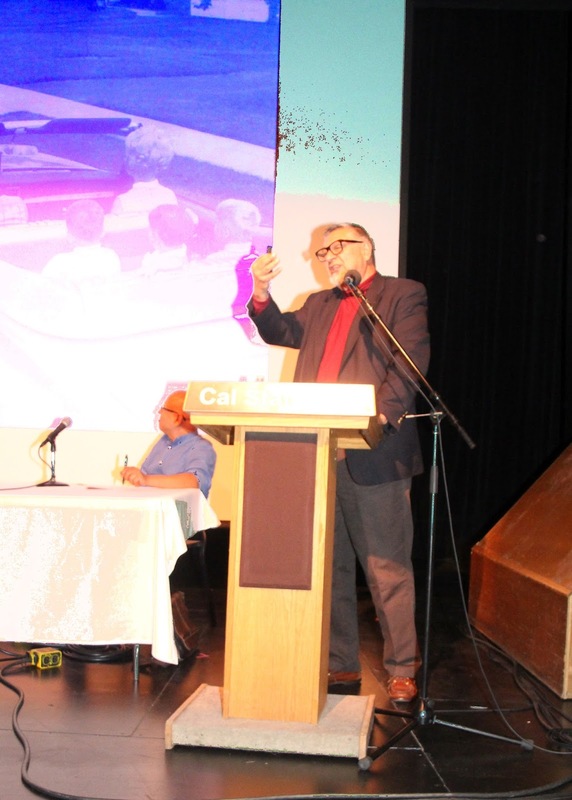 Sartre would agree with Edward Hallett Carr who in his own1961 book What is History?emulates Sartre by stating that history is about the present and as such should also be accomplishing social change. My keynote paper will apply Sartre’s notion of literature as well as Carr’s of history to analyze the ways that I have written history to hopefully bring about change. 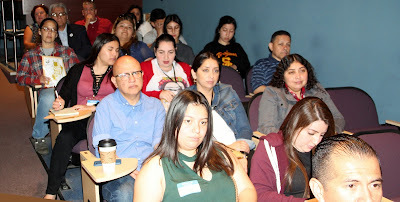 I will discuss my own historical context as part of the Chicano Generation of the late 1960s and 1970s and how the Chicano Movement inspired me to write socially useful history to help empower Chicanos and to be put at the use of the movement and for later generations. To do this, I will discuss the generational approach to history that I have become known for. My work has attempted to show historical change through historical or social generations. These generations include the Immigrant Generation from 1900-1930; the Mexican American Generation from 1930 to 1960; the Chicano Generation; and the millennial Latino Generation. I have written about each of these generations and I will discuss how my work in each is linked or how it can be linked to encouraging and inspiring social change. My essay will be a way of reaching out to other historians and other scholars to develop a dialogue about why they write history or literary criticism, or sociology, etc. What is the point of it or what should be the point of it? I think this dialogue is especially critical today when our communities face huge challenges in the age of Trump and we cannot afford to work in the academic ivory tower or at least our work has to transcend it. La historia de la literatura, como forma de estudio, ordenamiento y cuestionamiento, es de origen reciente. Su desarrollo se ha visto entrelazado no sólo con el devenir de los campos literarios, sino con los avatares de la geopolítica: el nacionalismo, el regionalismo y ahora la globalización han sido factores importantes en su configuración y en su crisis presente. En América Latina, la historia literaria ha sido un desafío crítico permanente porque ha tendido que establecer sus propios criterios y metodologías, ante la constante tentación de adoptar periodizaciones y cortes temporales provenientes de otras literaturas. 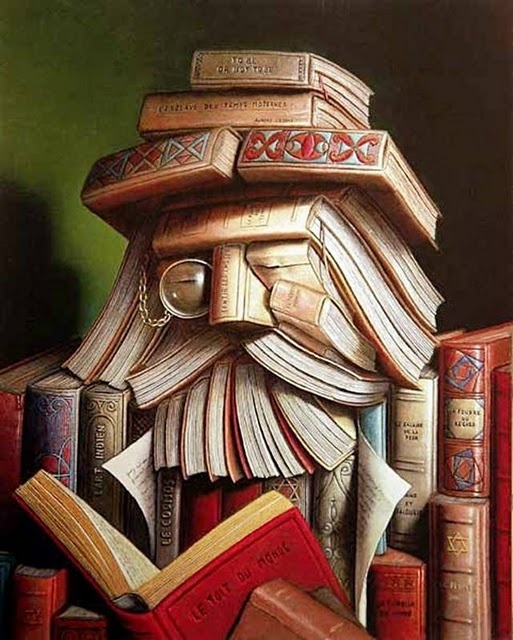 En el caso de la literatura mexicana, el problema adquiere dimensiones mayores, pues sus límites no son, como muchos afirman, los geopolíticos ni los lingüísticos. 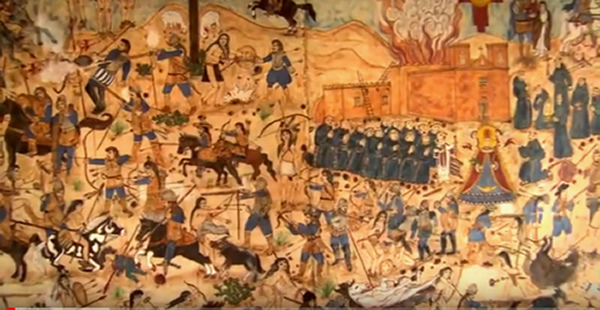 Durante mucho tiempo, el canon y su historicidad han sido elaborados desde el centro simbólico, es decir, desde la capital de la república. ¿Dónde quedan ahí las producciones hechas en las regiones y en los territorios que desbordan la frontera? 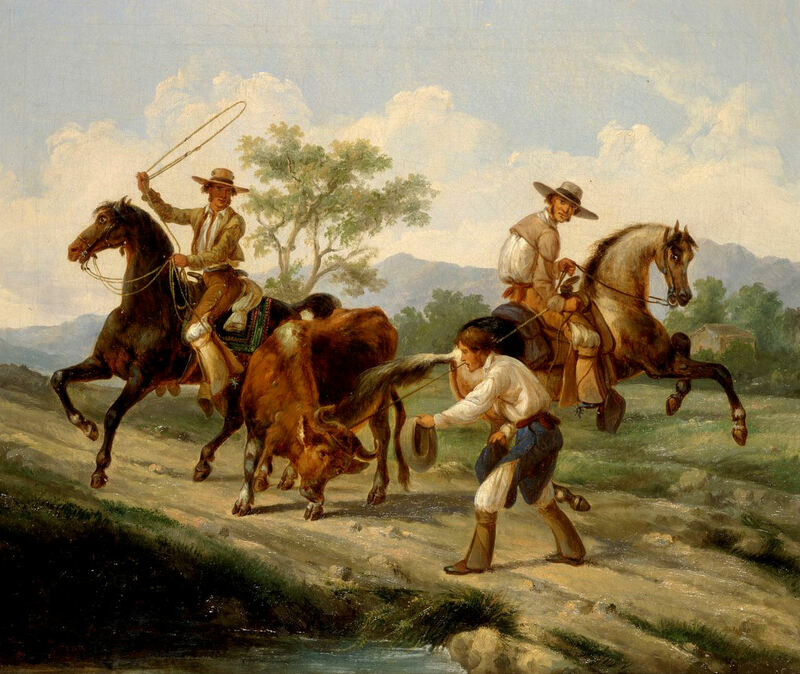 ¿Cómo construir una historia de la literatura en la actualidad, cuando las nociones de canon y de campo literarios han cambiado profusamente? 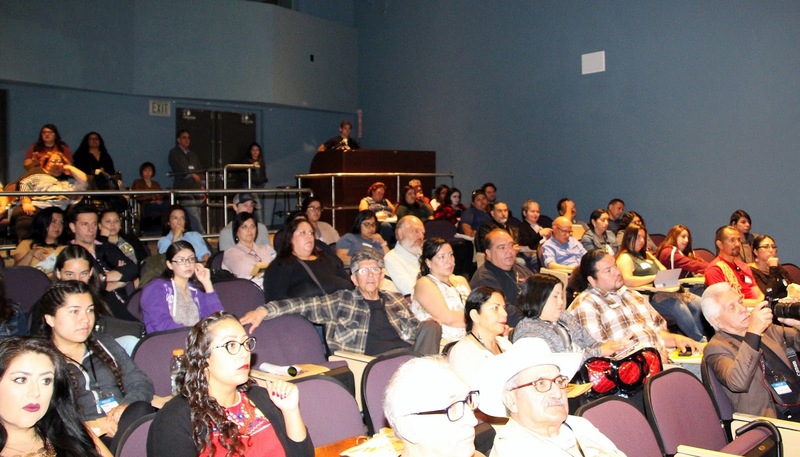 ¿Cómo dar cuenta de los campos literarios regionales y de la literatura chicana sin caer en los dispositivos de exclusión o subordinación? 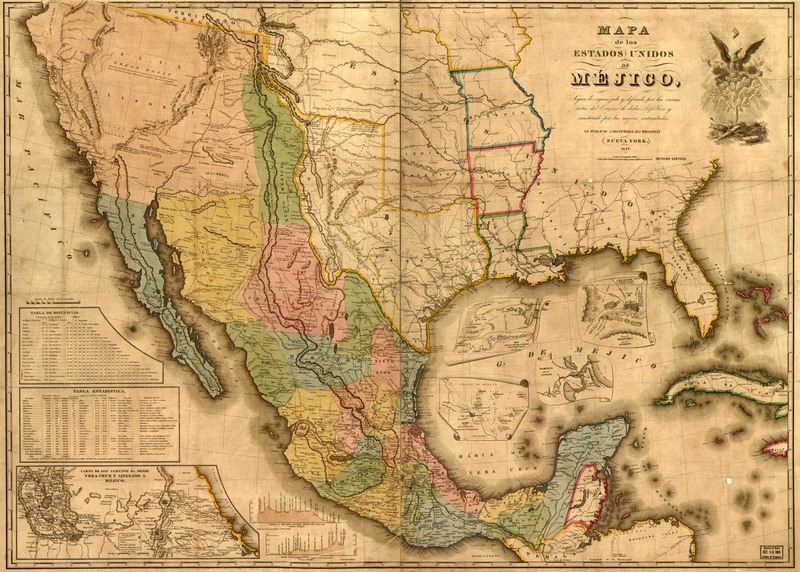 En este ensayo me interesa plantear algunos problemas y exponer algunas ideas sobre la urgente elaboración de una historiografía literaria hecha desde otros espacios, para así reconfigurar el campo literario, tanto en México como en Estados Unidos. 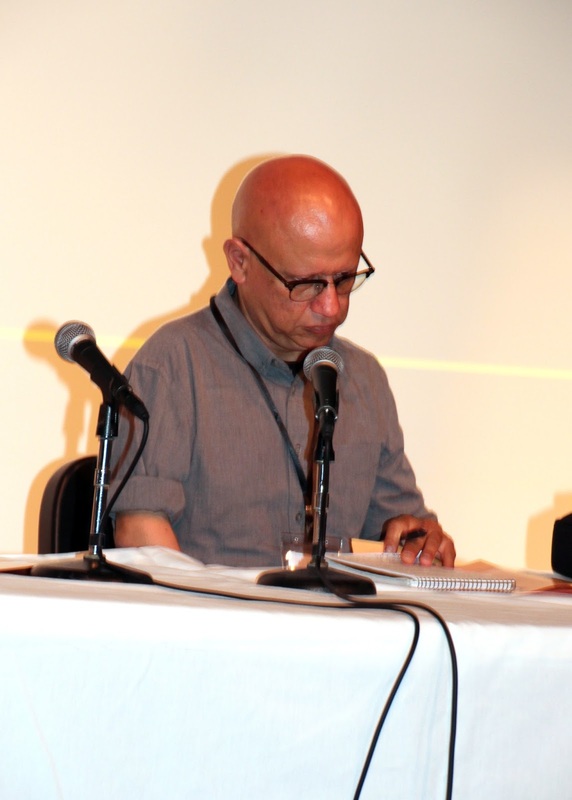 Dr. Víctor Barrera Enderle, escritor, ensayista y crítico literario. 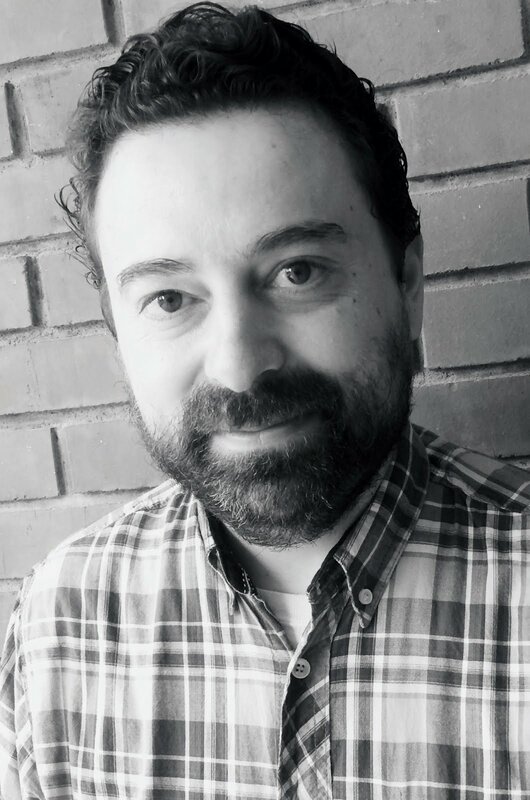 Es doctor en literatura hispanoamericana y magíster en teoría literaria por la Universidad de Chile; licenciado en letras españolas por la Universidad Autónoma de Nuevo León. Ha sido investigador visitante en el Instituto Iberoamericano de Berlín y profesor visitante en la Universidad de Chile. 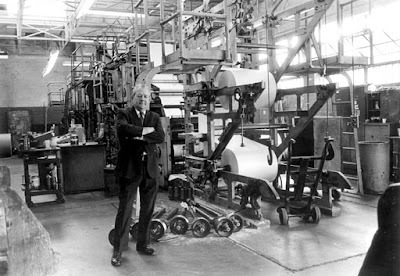 Becario, en 2008, del programa de estímulos a la creación y al desarrollo artístico del Consejo Nacional para la Cultura y las Artes y del CONARTE. Fue director de la revista Armas y Letras y coordinador del Centro de Escritores de Nuevo León. Pertenece al Sistema Nacional de Investigadores de México. Es subdirector de la revista digital Levadura, donde publica su columna "Aristarquía. Actualmente se desempeña como investigador de tiempo completo en la Facultad de Filosofía y Letras de la Universidad Autónoma de Nuevo León, en Monterrey, México. 2017: Premio a las Artes de la Universidad Autónoma de Nuevo León. El centauro ante el espejo. Charlas y apuntes sobre el ensayo (Monterrey: UANL, 2017). The Latino Epidemiological Paradox is the surprising pattern in Latino health: Even though Latino populations have lower income, less education and poorer access to medical care than other populations, nonetheless, for over 30 years in California Latinos have had around 30% lower mortality rates due to heart disease, cancer, lower chronic respiratory disease, stroke and all causes of death, have low infant mortality, smoke less, drink less, do drugs less and live nearly three years longer. These patterns are not predicted by the standard models used to explain Latino behaviors in the US: the assimilating immigrant model and/or the urban underclass model. 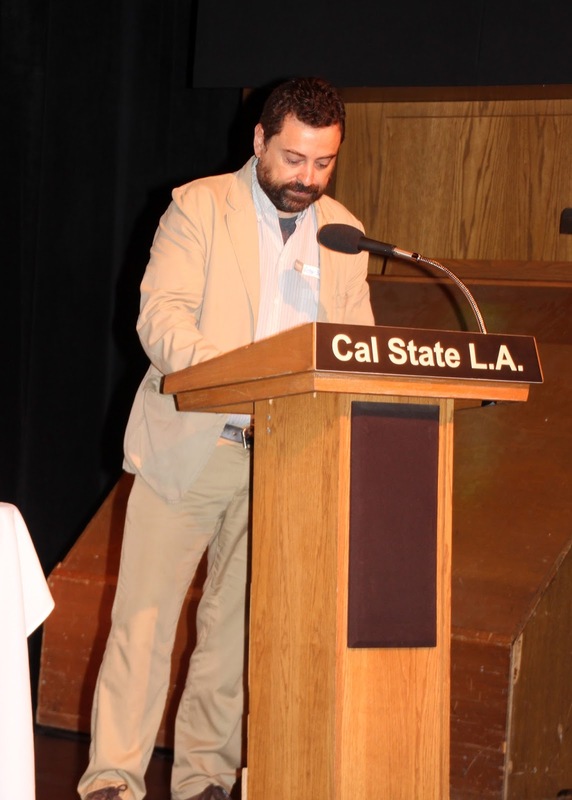 Initially, he collected data from padrones and censuses to create demographic models of Latino in Los Angeles from 1781 to 2015. 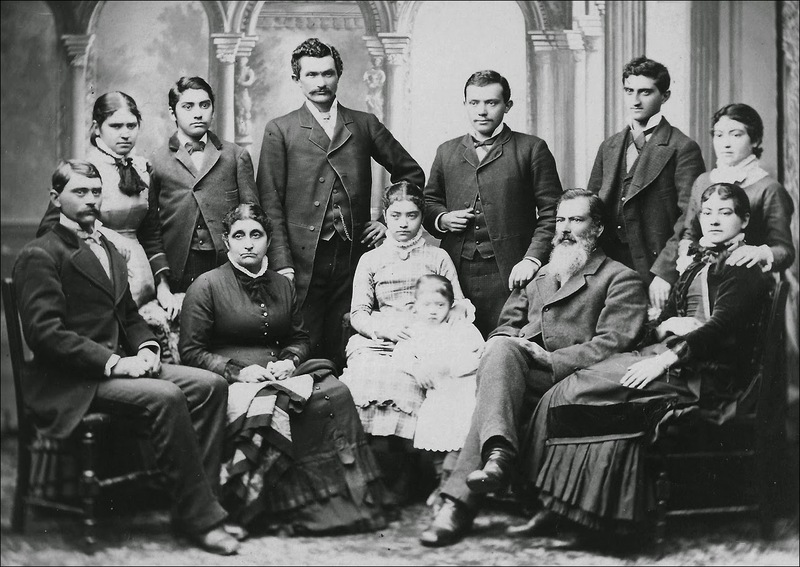 On a hunch, Dr. Hayes-Bautista researched Spanish-language newspapers published in California since 1851, to locate announcements of births, marriages and deaths, the basic building blocks of demographic modeling. 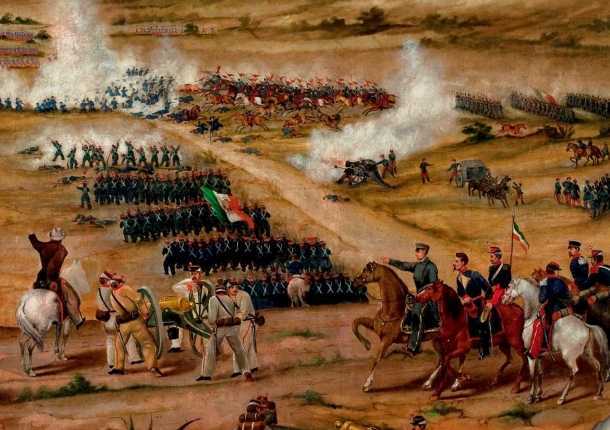 As he sought these data, he unintentionally read accounts of the Gold Rush, the American Civil War, and the French Intervention in Mexico (1862-1867) in Spanish, as reported to Spanish language readers in California. 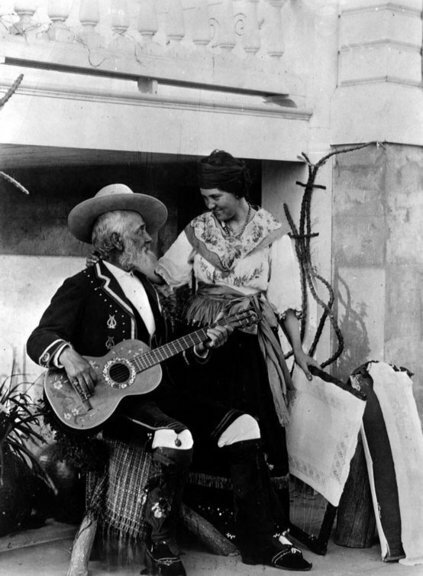 Within these accounts, he discovered the origins of the celebrations of Cinco de Mayo, as constructed in California as part of the Latino experience of the American Civil War. 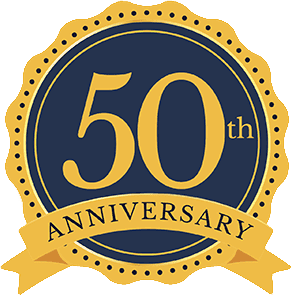 Two of his recent books came out of this research adventure: El Cinco de Mayo: An American Tradition (University of California Press, 2012) and La Nueva California: Latinos from Pioneers to Post-Millennials (University of California Press, 2017.). 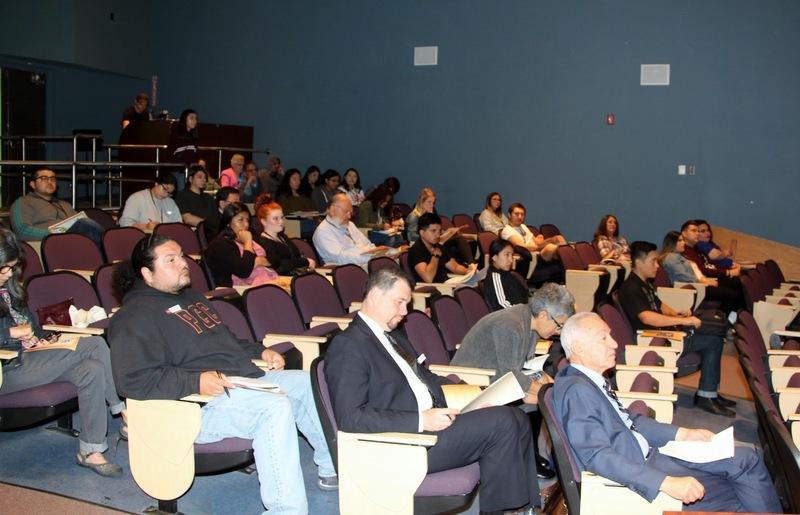 Dr. Hayes-Bautista shares his intellectual journey that he undertook from medicine to history as he attempted to understand the Latino Epidemiological Paradox. Dr. David E. Hayes-Bautista is currently Distinguished Professor of Medicine and Director of the Center for the Study of Latino Health and Culture at the David Geffen School of Medicine at UCLA. He graduated from U.C. Berkeley, and completed his doctoral work in Basic Sciences at the University of California Medical Center, San Francisco. Dr. Hayes-Bautista served on the faculty at the School of Public Health at U.C. Berkeley until 1987, when he took his current position at UCLA. Dr. Hayes-Bautista’s research appears in a variety of medical journals including Family Medicine, the American Journal of Public Health, Family Practice, Academic Medicine and Salud Pública de México. 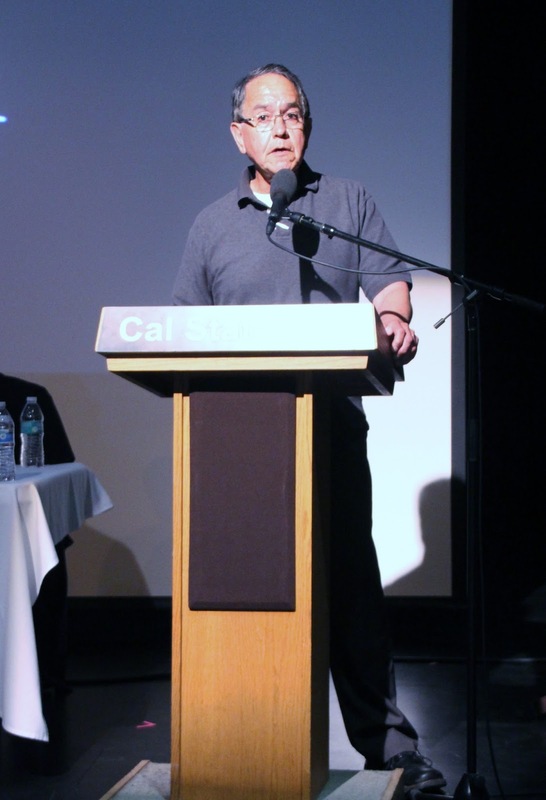 Some of his published books include The Burden of Support: Young Latinos in an Aging Society (Stanford University Press, 1988), El Cinco de Mayo: An American Tradition (University of California Press, 2012) and La Nueva California: Latinos from Pioneers to Post Millennials (University of California Press, 2017.) Dr. Hayes-Bautista writes columns for the Los Angeles Times and La Opinion, and is often asked to provide opinions on radio and television in both Spanish and English. For the past five years, he has been chosen one of the 101 Top Leaders of the Latino Community in the U.S. by Latino Leaders Magazine. 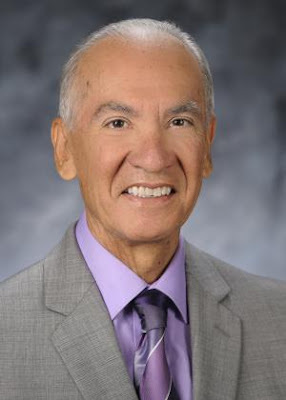 In 2012, he received the Association of American Medical Colleges (AAMC) Herbert W. Nickens Award for his lifelong concerns about the educational, societal, and health care needs of underrepresented groups, and in 2016 the Ohtli Award from the Mexican Government. 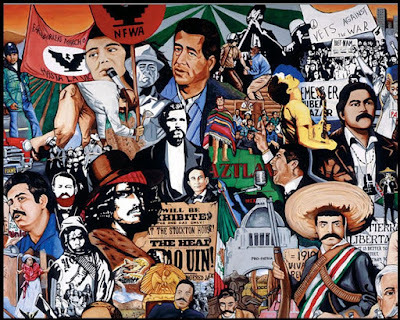 OF CHICANO AND CHICANA HISTORY"
The Chicano movement of the late sixties was not just a political movement. It was also an intellectual movement that expressed itself in various academic fields, particularly in history and literature. 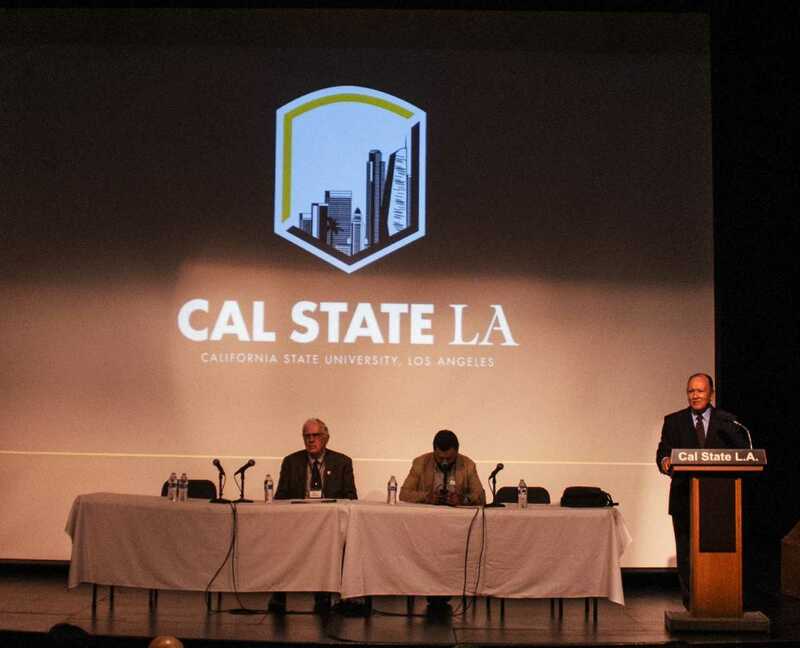 It was an unprecedented renaissance of the Mexican-origin population in this country, one spearheaded by college students who sought to define and claim our place in this country’s history and future. 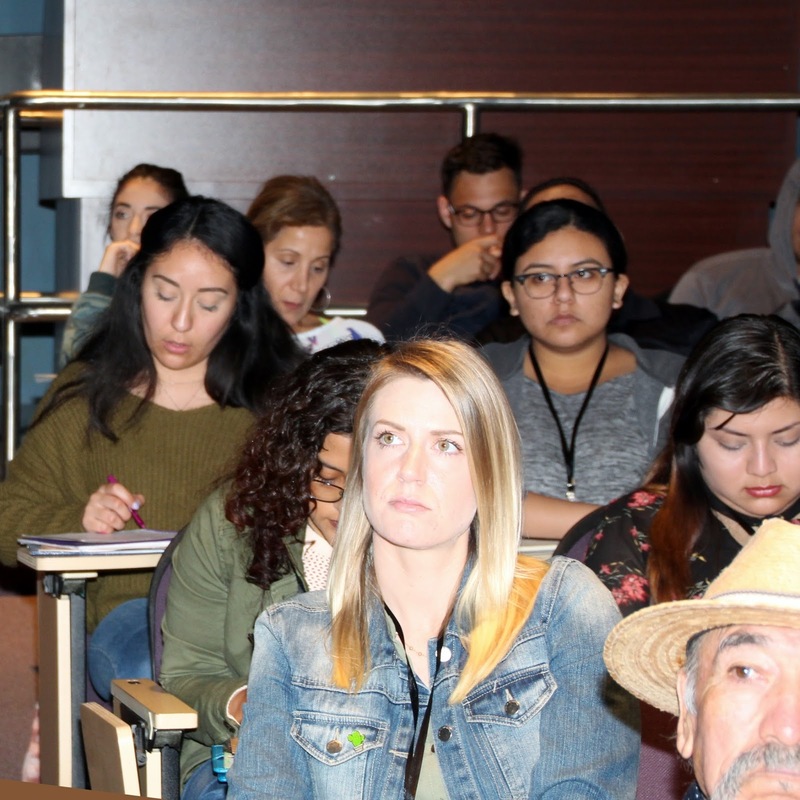 Many of these students became professors and writers, and in the historical arena their work of discovery and recovery has become the foundation for the new field of Chicano/Latino Studies. Fifty years later, now that this movement generation has retired or is near retirement, it makes sense to ask “what impact have we made in revising the historical canon?” An equally important question to raise, especially in the current political moment, is “what are our next steps?” I want to offer some preliminary answers to these questions. Dr. David Montejano is Professor of the Graduate School of the University of California, Berkeley. 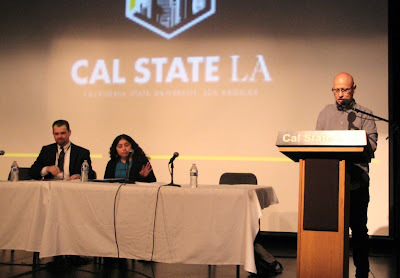 Previously he was Professor of Ethnic Studies and History and Chair of the Center for Research on Social Change at the University of California, Berkeley. 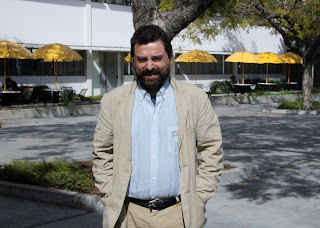 He joined the Berkeley faculty in 2002. Before coming to Berkeley, he was an Associate Professor of History and Sociology and Director of the Center for Mexican American Studies at the University of Texas at Austin. 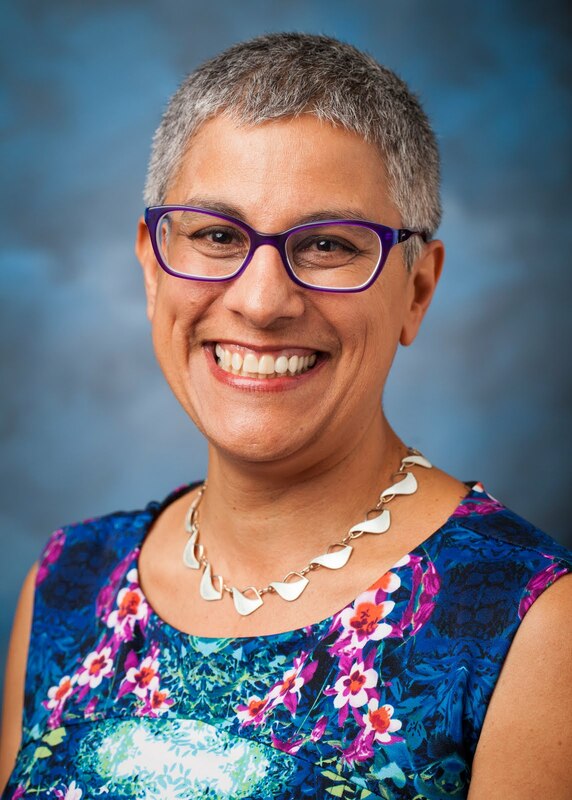 Dr. Montejano’s major areas of interest include Comparative and Historical Sociology, Political Sociology, Social Change, Race and Ethnic Relations, and Community Studies. A native of San Antonio, Texas, he received a B.A. from the University of Texas at Austin and two Masters and a Ph.D. in Sociology from Yale University. Dr. Montejano is the author of the prizewinning historical overview, Anglos and Mexicans in the Making of Texas, 1836- 1986, published by the University of Texas Press in 1987. 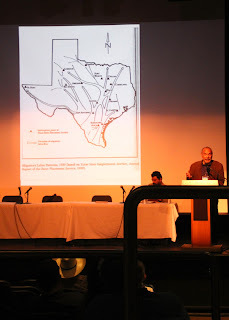 The awards included the Frederick Jackson Turner prize, awarded by the Organization of American Historians, for the best first book in American History, and the T. R. Fehrenbach prize, awarded by the Texas Historical Commission, for best book in Texas history. Anglos and Mexicans is now in its 14th Printing, and has been translated and published in Mexico (Mexico City: Editorial Alianza, 1991). The sequel, titled Quixote’s Soldiers: A Local History of the Chicano Movement, 1966-1981, was published by the University of Texas Press in 2010. 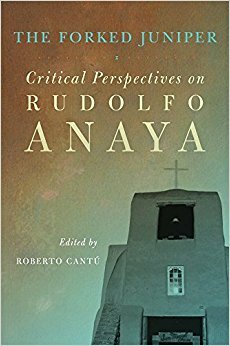 This book has also received critical acclaim and awards, including the 2012 Book Award from the National Association for Chicana and Chicano Studies and, for the second time, the T. R. Fehrenbach prize in Texas History. Most recently, Professor Montejano authored the companion book to Quixote’s Soldiers, titled Sancho’s Journal: Exploring the Political Edge With the Brown Berets (University of Texas Press, 2012). With the publication of Sancho’s Journal, Montejano brings closure to a line of inquiry that has been thirty-five years in the making. "The Generational Theme and Biography in Chicana/o History: The Interpretive Contributions of Mario T. Garcia"
There are several threads to the work of the foundational scholar Mario T. García that have shaped Chicana/o history. This includes the zeal for bottom-up social history. Also, the idea of taking notions of self-identity seriously is another important theme. But the most defining themes in García’s work are his 1) exploration of the concept of generations in Chicana/o history and their importance, what I call the Generational Theme, and 2) his sophisticated use of biography to flesh out the Generational Theme. For me, the major conceptual framework García has advanced is the powerful interpretive framework that is the Generational Theme. 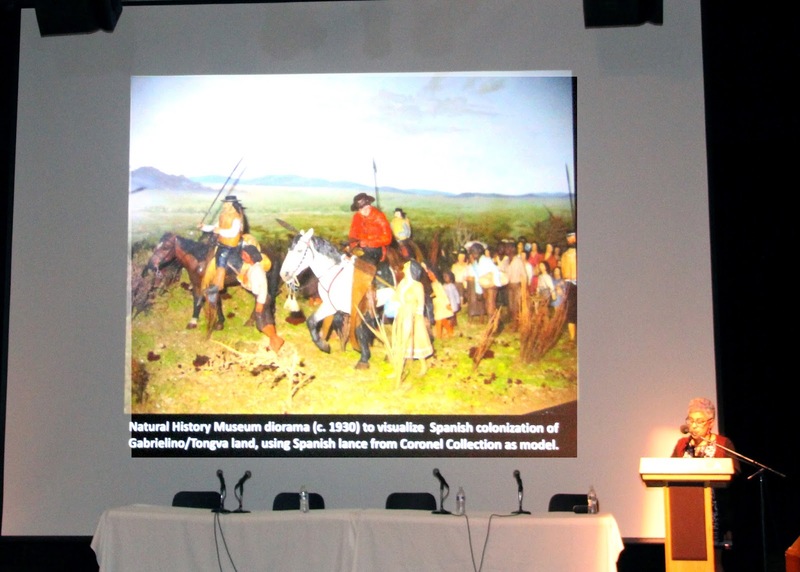 While many historians talk about generational cohesion, no one has done so with the rigor of Professor García. 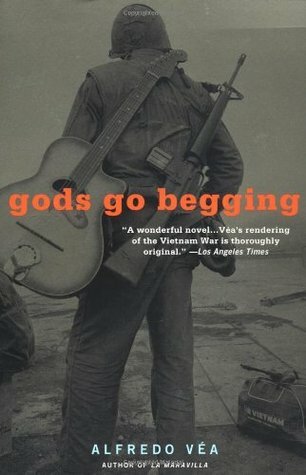 The emphasis on biography adds substance and content to the idea of generations, but it also introduces tension to it. 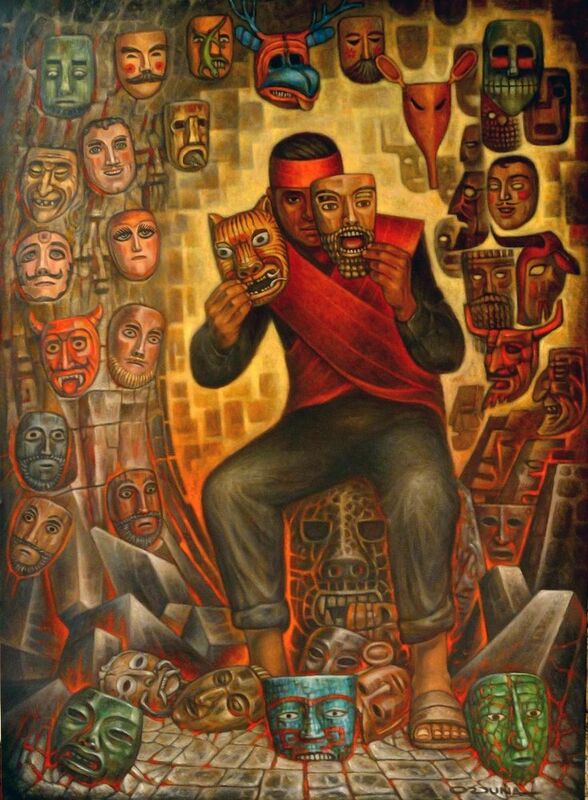 Biography, especially as done in the careful manner of García, throws complexity into universal maxims and monochromatic interpretations. So for me, García’s Generational Theme and his emphasis on biography are complimentary, but on occasion also set against one another. 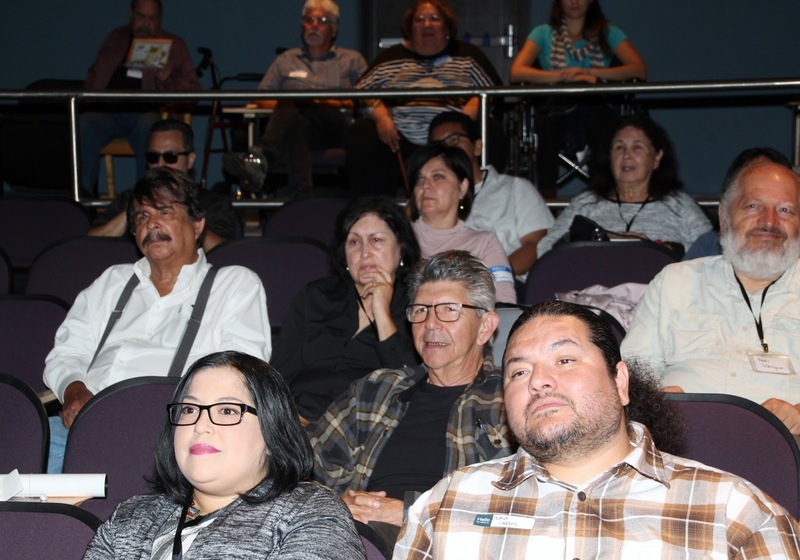 This is a dynamic, sophisticated, nuanced interpretive legacy that Mario T. García has given Chicana/o history. This paper will examine a facet of Mario Garcia’s work: his role as a historian of El Paso. Although this border city served as the largest port of entry for ethnic Mexicans in the 20th century, scant historical scholarship has focused on this borderlands community. As a native El Pasoan, García first embarked on excavating his hometown’s past through his doctoral dissertation, which was eventually was published as Desert Immigrants: The Mexicans of El Paso, 1880-1930 (Yale University Press, 1981). Garcia’s later scholarship including Mexican Americans: Leadership, Ideology, and Identity (Yale University Press, 1989), Border Correspondent: Selected Writings of Rubén Salazar, 1955-1970 (UC Press, 1998), Memories of Chicano History: The Life and Narrative of Bert Corona (UC Press, 1994), and of course The Making of a Mexican American Mayor: Raymond L. Telles of El Paso (Texas Western Press, 1999) have also served to bring to ensure that El Paso’s past is vital to understanding larger trends in Chicana/o history. Thus, this paper seeks to place Garcia’s work in the larger trajectory of Chicana/o historiography and in so doing show how his efforts have not only recovered this border city’s past, but in the process, has inspired and empowered students and the general public alike by making them aware that they too are a people with a history. Desde su primer número, La Prensa se define como un "Semanario popular independiente" (LP: 1, 13, 02, 1913). Este "apartidismo" problemático, sustentado en su independencia económica, cumple con un doble propósito: ser el órgano de información de la colonia mexicana en San Antonio y servir de puente o contacto con el país de origen. Para convertirse efectivamente en el órgano de opinión de la colonia mexicana, La Prensa no sólo debía ocuparse de los asuntos locales, sino que además debía mantener a ésta en contacto con la nación mexicana. La contratación de antiguos y nuevos disidentes (Victoriano Salado Álvarez, José Juan Tablada, José Ascensión Reyes, Nemesio García Naranjo, entre los primeros; Martín Luis Guzmán, José Vasconcelos y Juan Sánchez Azcona, entre los segundos), no sólo cumplía con una función informativa, justificando y actualizando sus críticas, sino que además nutría el sentimiento de un México de Afuera, mucho más puro en sus prácticas, gobierno y tradiciones que el México revolucionario. Su director, Ignacio E. Lozano, echó, pues, mano de los instrumentos clásicos del capitalismo impreso, pero lo hizo apelando a los referentes culturales que dieron rostro al porfiriato, ajustándolos a su nuevo entorno, transformándolos o actualizándolos en el proceso. "El campo cultural mexicano en The Two Republics"
The Two Republics fue un periódico publicado en la Ciudad de México de 1867 a 1900, cuya peculiaridad radica en ser el primero de su tipo con un consejo editorial conformado por americanos y redactado en inglés. En la presente ponencia comentaré algunos casos que permiten estudiar la manera en que se articula el campo cultural mexicano para el consumo de una mirada extranjera. En la publicación resulta posible observar los mecanismos mediante los cuales un lector extranjero interpretaba la realidad mexicana del momento. Los puntos de encuentro entre ambas esferas se pueden analizar a partir de distintas instancias de contacto. Algunas de ellas son: los comentarios sobre diversos personajes de la cultura mexicana y sus funciones burocráticas en Estados Unidos, las traducciones de textos escritos por mexicanos para lectores extranjeros y las crónicas de las celebraciones en honor a personajes americanos en territorio mexicano. Un ejemplo característico de este fenómeno se da cuando destacados personajes de la comunidad participan con discursos y poemas en celebraciones; por ejemplo, Justo Sierra, en el banquete en honor a William H. Seward, celebra y pide “salud a la inmortal, salud y gloria/ al arca de la alianza americana”. Estos episodios contribuyen a la reflexión sobre las relaciones México-Estados Unidos en la ciudad letrada decimonónica. 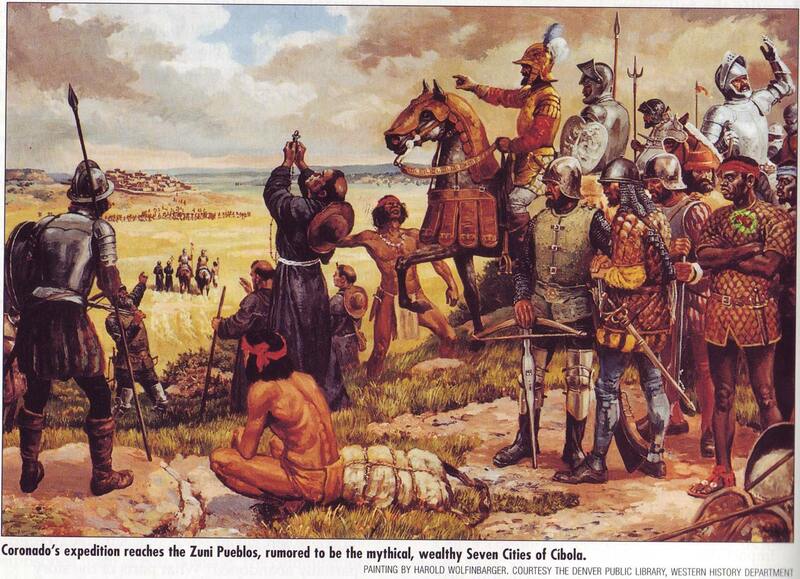 The Pueblo Revolt of 1680 is perceived as a remarkable event in American Studies. 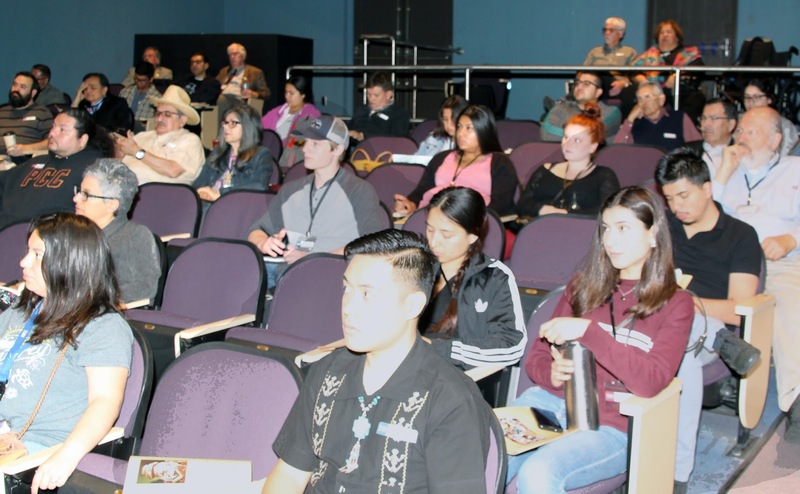 It remains a testament to the capacity for resistence on the part of Native American peoples and the dedication to the preservation of traditional lifeways and beliefs that endures to the present day. While much of the credit for its achievements is given to the Tewa visionary Po’pay, this paper proposes that the success of the revolt may owe just as much to comparable millenarian movements that were taking place at the same time in Pacific Coastal Mexico. The roles of Po’pay’s associates Alonso Catiti and Luis Tupatu, individuals credited with possessing Mexican as well as Pueblo indigenous ancestry, will be examined with regard to the development of the political strategies and even spiritual ideology such as the “vision” of Lake Copala that inspired the revolt. 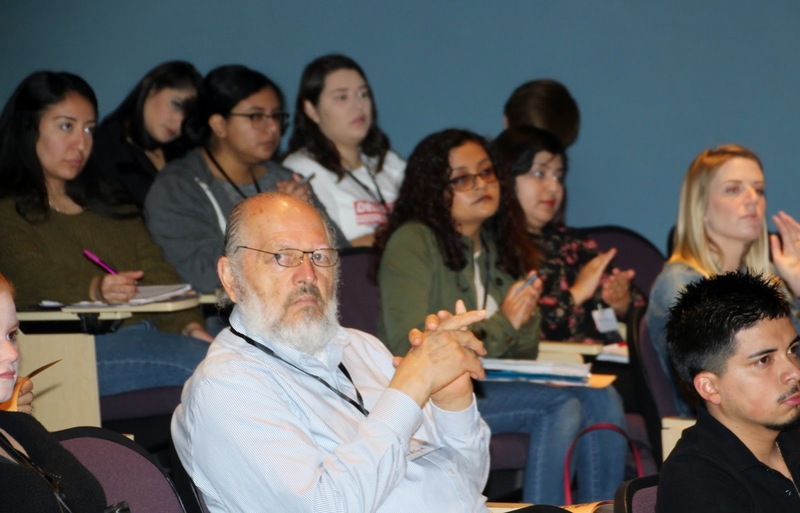 "Emotive Crossroads: The Travels and Promise of Historicizing Coming of Age Experiences"
This paper will center on the generative qualities of Dr. Mario Garcia's Migrant Daughter: Coming of Age as a Mexican American Woman. It will center on the resonance of this historical account of a young woman making decisions and honoring varying degrees of accountability as a Mexican American woman across the geographic diversity of the U.S. Southwest. An attention to tenerational diversity, intellectual inheritance, migration, and gender identity will organize this mapping of the enduring impact of this incisive consideration of the relevance and weight of gender, age, location, and emotions. By honoring Dr. Mario Garcia's scholarship in this way, illustrating the longevity of the inclusivity behind his research and writing will energize audiences teo consider a continued investment in disentagnling the intricacies of coming into one;s own over space and time. Fray Angélico Chávez (1910-1996) was a renowned New Mexican author, poet, historian, and archivist described by historian Genaro Padilla as “one of the pioneers of Chicano literature in the 20th Century.” Dr. Mario García called Chávez “a true Renaissance man [whose] focus on religion was a way of asserting ethnic identity and opposing Anglo-American historical presence that was pushing Chávez’s subjects aside,” yet Chávez’ work nowhere indicates he identified as a “Chicano,” or advocated for ethnic studies; on the contrary, he ignored and disparaged the Mexican history of his own home state. 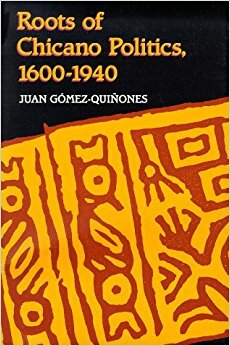 Chávez’ works on genealogy (Origins of New Mexico Families), Padre Martínez (But Time and Chance), and the Penitentes (My Penitente Land) are prominent examples of his contributions, but to my limited knowledge are seldom used in Chicana and Chicano Studies courses in New Mexico, much less elsewhere. To the extent Chavez used religion to assert ethnic identity, the identity was ahistorical, non-Mexican, and accommodationist. 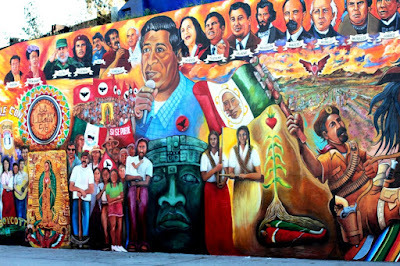 Fray Angélico Chávez’ historiography was neither “Chicano” nor Mexican and the “Chicano” of “Chicana” novel, however defined, would not have taken root in Chávez’ intellectual soil. Chávez’ work, especially regarding Padre Antonio José Martínez and two class-and-caste rebellions in Nuevo Mexico in 1837 and 1847, are examined in context and reveal Martínez’s critical role as a defender of the status quo of the New Mexico and American elites in opposition to the Nuevomexico’s native and mixed-blood masses. 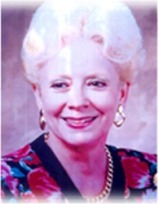 The Gigi Gaucher-Morales Memorial Lecture Series has been established by the Morales Family Lecture Series Endowment in memory of the late Dr. Jeanine (Gigi) Gaucher-Morales, who passed away on May 20, 2007. 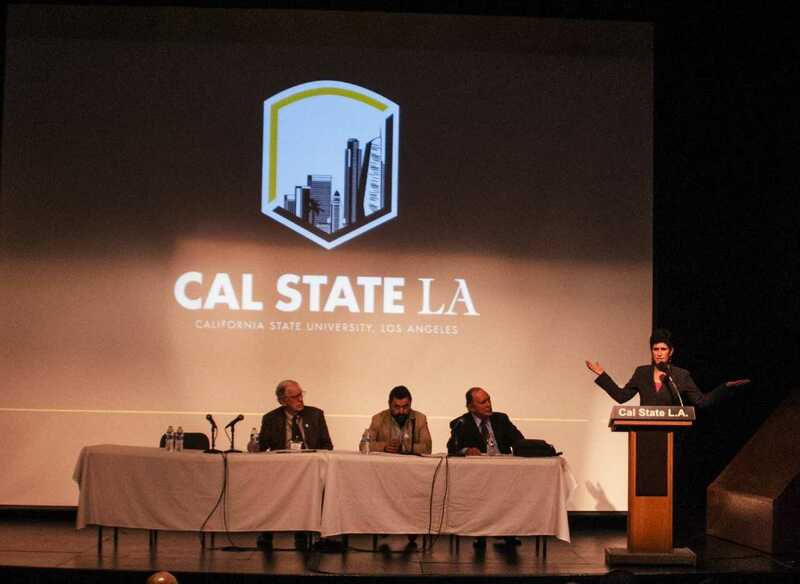 Born in Paris, France, Dr. Gaucher-Morales was a professor emerita of French and Spanish at Cal State LA She taught from 1965 to 2005, thus devoting four decades of her academic life to Cal State LA, where her friends, students, and colleagues knew her as Gigi. During her long and productive tenure at this campus, Gigi taught generations of students the literature and culture of France, of the Anglophone world, and of Latin America, including the Caribbean. With her husband, Dr. Alfredo O. Morales, also professor emeritus of Spanish, she co-founded, directed, and served as advisor of Teatro Universitario en Español for almost 25 years, bringing to Cal State LA annual theater productions based on plays stemming from different traditions and languages, such as the Maya (“Los enemigos”), Colonial Mexico (“Aguila Real”), Spanish (“Bodas de sangre”), French (“The Little Prince”), and English (“Under the Bridge”). In addition, Gigi was the founder at Cal State LA of Pi Delta Phi, the national French honor society. She was recognized and honored by the French government for her contributions to the knowledge of French civilization in Latin America and the United States. 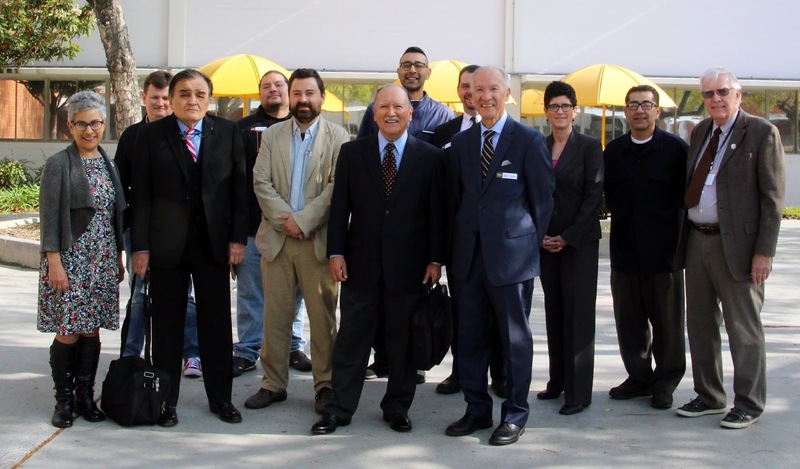 Gigi was also honored by her peers at Cal State LA with the 1991-1992 Outstanding Professor Award. 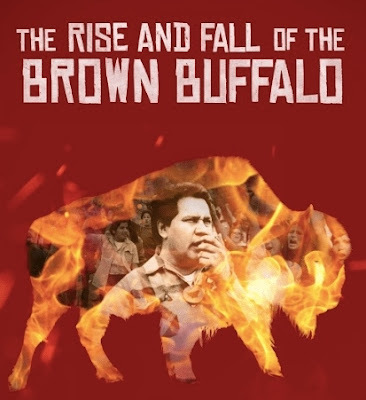 Featured Film: "The Rise and Fall of the Brown Buffalo"
"The Rise and Fall of the Brown Buffalo"